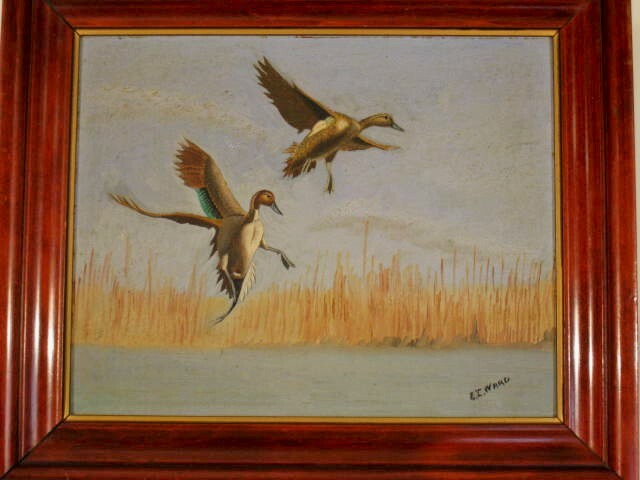 Oil on artist board of pintail pair in flight…framed and in good condition with vibrant colors and minor discoloration from age...signed lower right "L. T. Ward"...image size 7 3/4”h x 9 3/4”w. 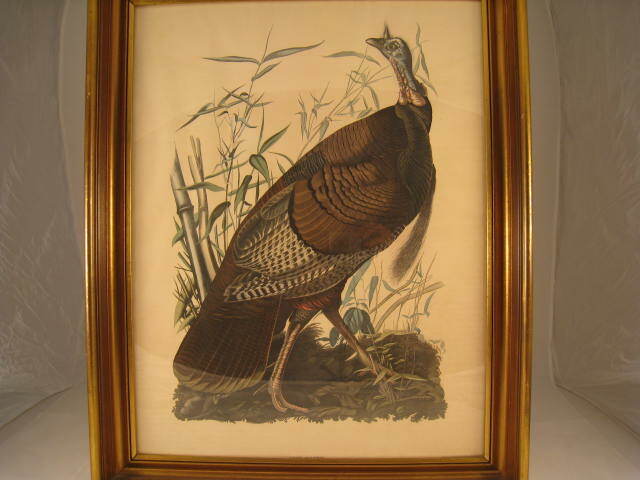 John James Audubon lithograph titled “Wild Turkey” published by Penn Prints, NY courtesy of the National Audubon Society circa 1959…overall condition is good…from the Dr. James Ward estate in Mt. 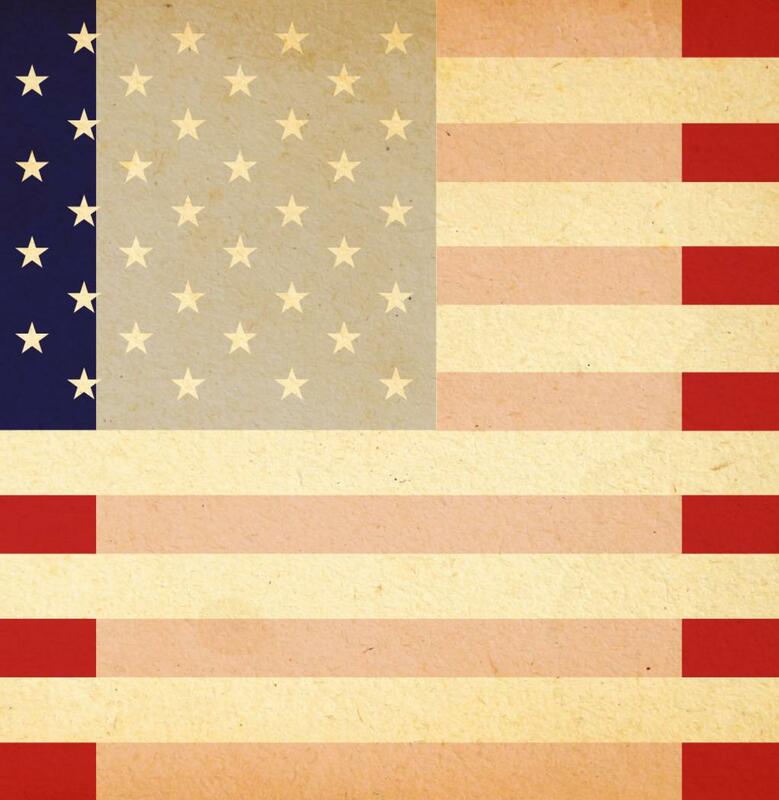 Pleasant, SC…25”h x 20”w. 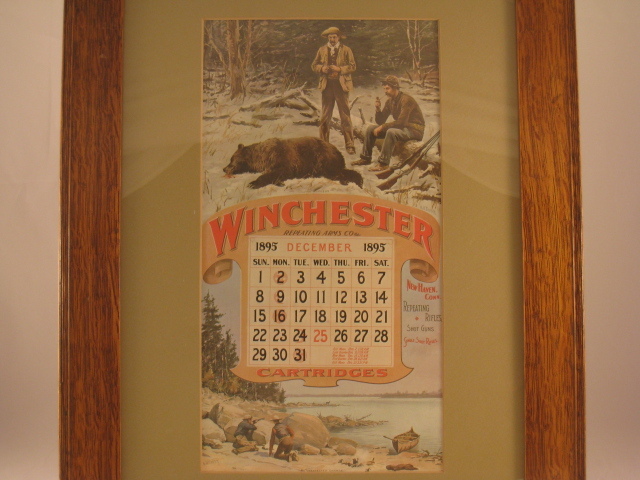 Nice Winchester calendar reproduction with fabulous hunting scenes by Lynn Bogue Hunt including "Success" and “An Unexpected Chance"…ca. 1950's judging by the original oak frame...overall excellent condition…15”h x 8”w. 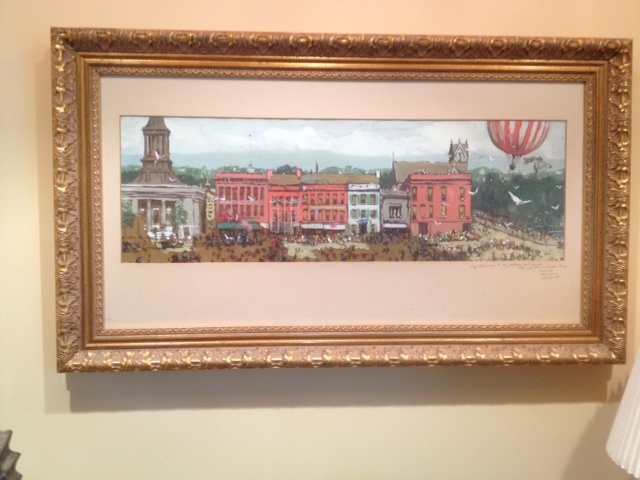 Norman Rockwell (1894-1978) oil on celluloid study painted circa 1960…done for 100th anniversary of Berkshire Life Insurance Company...signed and personalized lower right on mount…nicely framed…8”h x 24”w. 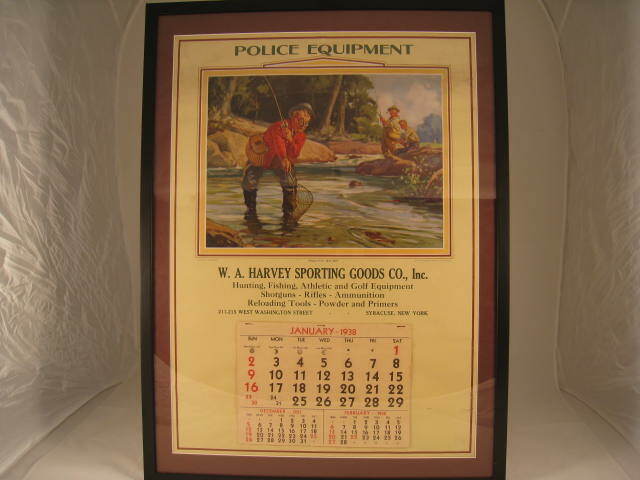 Hy (Henry) Hintermeister (1897-1972) 1938 calendar titled “HOLD HIM, BIG BOY” from W. A Harvey Sporting Goods in Syracuse, NY…published by American Art Works, Inc. in Coshocton, OH…entire calendar intact…approximately 27”h x 20”w. 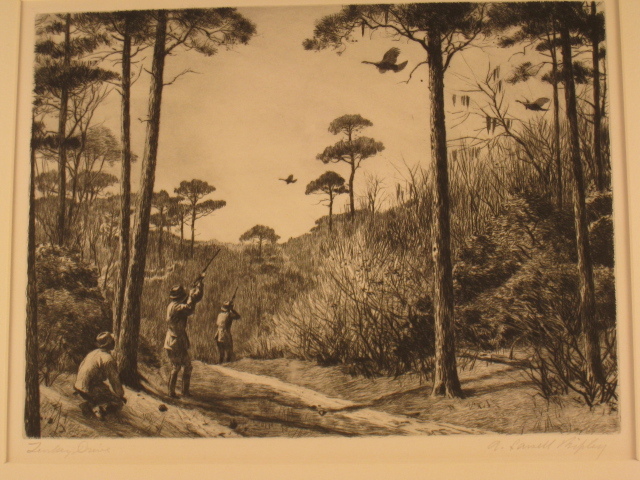 Aiden Lassell Ripley (1896-1969) titled "Turkey Drive"…pencil signed lower right "A. Lassell Ripley"…classic southern scene depicting two hunters aiming toward birds in flight w/ guide crouching in the shadows...approximately 10”h x 12”w. 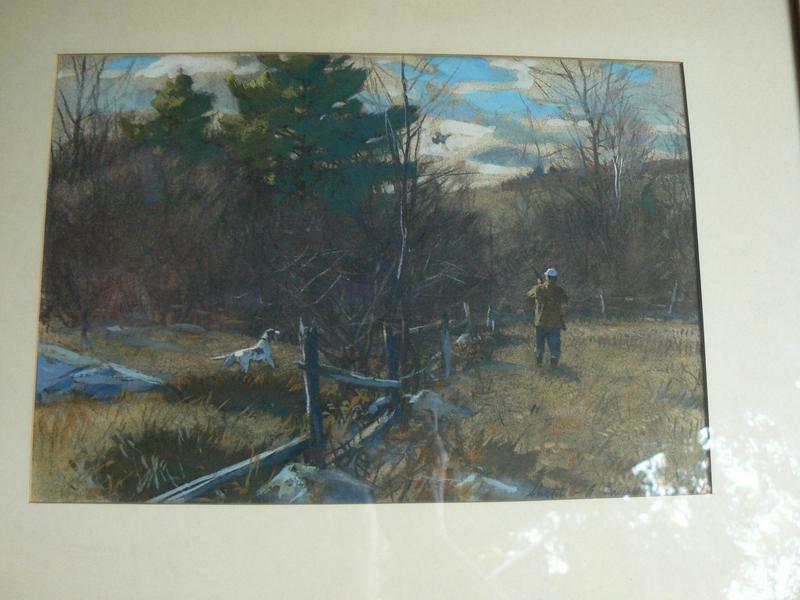 Aiden Lassell Ripley (1896-1969) sketch done in pastels for a larger piece...beautiful, bright image with gunner, dog and bird in classic upland scene…framed and in good condition...signed lower right "Sketch - A. Lassell Ripley"...8.5” h x 12.5” w.
William Goadby Lawrence (1913-2002) oil on board titled “Leaping Sailfish” signed on front, lower right…in original frame and signed on stretcher “W. 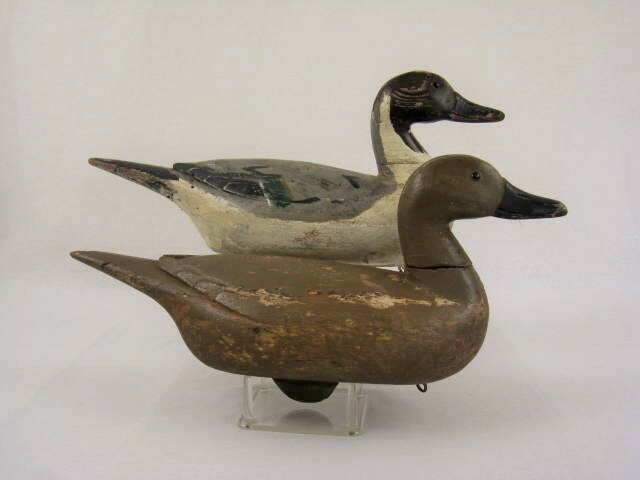 Goadby Lawrence – Fairhaven, NJ – 1940…slight discoloration and craquelure from age…18”h x 27”w. David A. Maass (b. 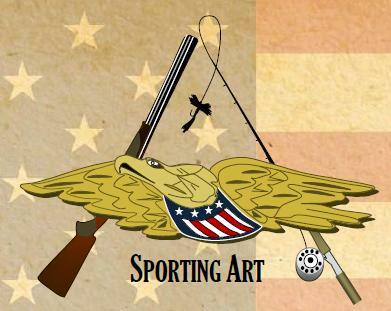 1929) oil on artist board canvas showing wood ducks jumping up out of wooded wetlands…beautifully framed and ready for display...signed lower left "Maass"…23”h x 21”w. 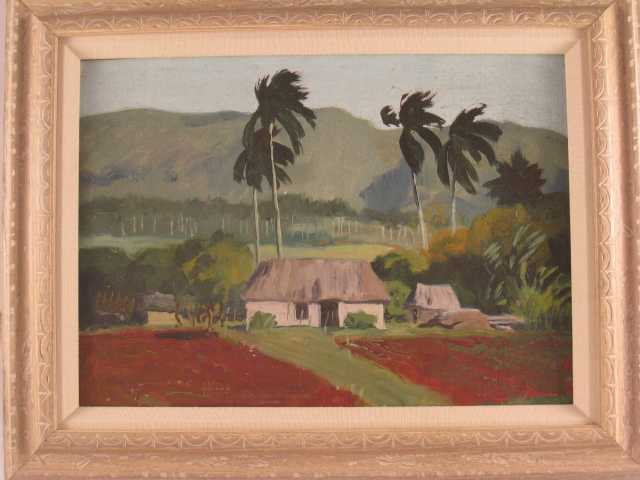 Lynn Bogue Hunt (1878-1960) framed oil on canvas...signed lower left with Costa Rica also visible at lower left…slight lifting of the canvas along left border, otherwise good condition…14”h x 18”w. 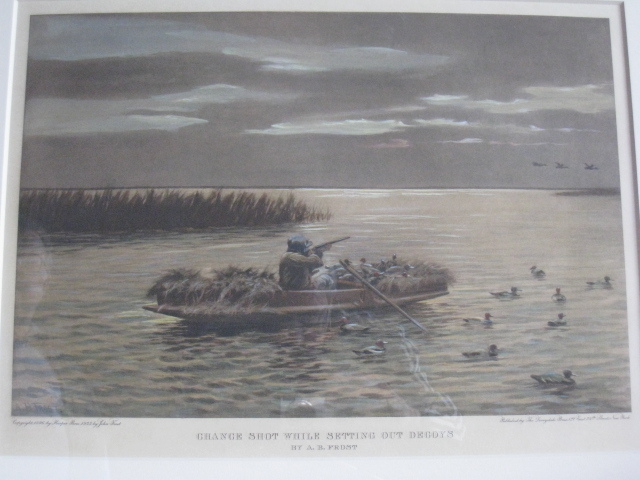 "Chance Shot While Setting Out Decoys"
Arthur Burdett Frost (1851-1928) hand colored lithograph printed by Derrydale Press ca. 1930's (1 of a set of 4/others avail. 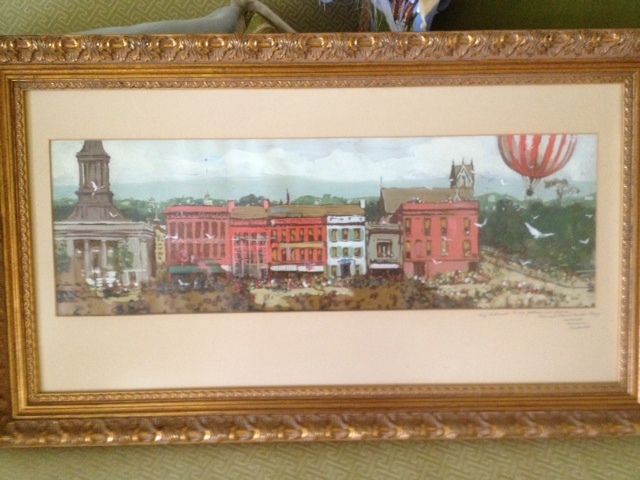 upon request)…framed and in good condition...image size 13 1/2”h x 19 1/2”w. 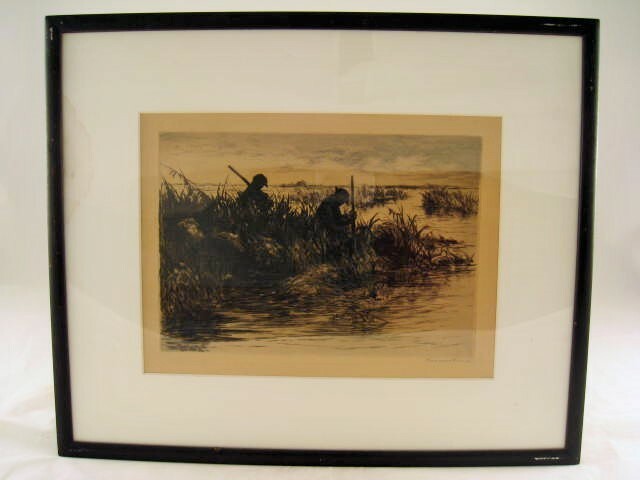 Roland Clark (1874-1957) Artist's Proof etching titled "Seven a.m."…pencil signed lower right "Roland Clark"…great marsh scene depicting two hunters with guns...approximately 8”h x 11”w.